We are delighted to announce the arrival of our wedding ring collection, perfect for those planning their upcoming nuptials. The classic collection caters for both men and women and includes a diverse selection of classic wedding bands available in platinum, white gold, yellow gold and rose gold. 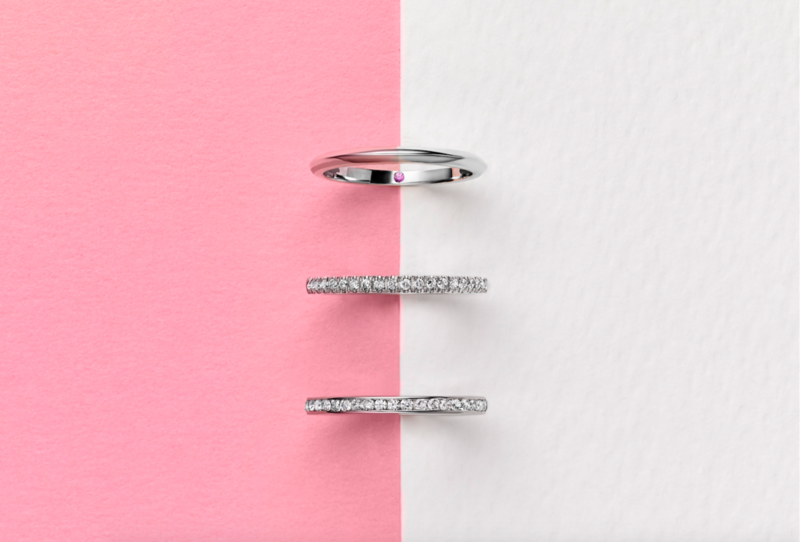 Customers can tailor their online ring search in order to customise the ring to their exact specifications, such as width, style and metal. Inspired by classic bridal designs, the women’s collection encompasses a variety of elegant settings, styles and metals to suit all tastes and comprises of channel set, pave set in full or half eternity, knife edge and court shaped wedding bands. For gentlemen, the classic wedding rings are court shaped in widths ranging from 3mm – 6mm, dependent on whether a thick or slim band is preferred. Say “I do” to one of the classic designs from our wedding ring collection. We’d also like to invite you to come along to The Luxury Wedding Show at the Aviator Hotel in Farnborough this Sunday where we will be showcasing some of our beautiful rings. A unique experience with an abundance of ideas to help you plan the perfect wedding day! We’ll be there from 11am – 4pm so do come and say hello! Entry is free if you pre-register or just £5 on the day.